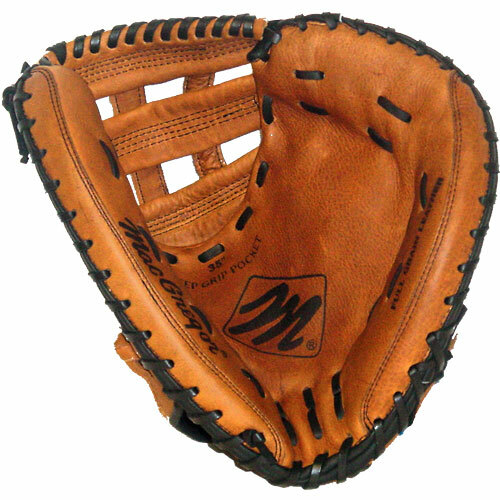 Compare to any mitt at this price. Pre-oiled full grain leather. Pre-formed for easy break-in. Large Softball pattern with dual "H" post web design. Exclusive PROLOCK hook-and-loop fastener wrist closure for better hand control and comfort. Deep ball pocket. All leather shell with heavy rawhide lacing. 34" pattern.